You’re invited to join Liz Nehdi at Wolf & Badger Notting Hill from 1-5 pm on Saturday, 2 Dec. Get the first look at brand new products, meet Liz + treat yourself while taking care of your holiday shopping with an exclusive gift with purchase. Liz is thrilled to return to her alma mater, Miss Porter’s School, in Farmington, CT, as the Prescott Visiting Artist in November 2017. Run by a mother and daughter team with a discerning eye, No. 18 Boutique offers a unique, edited collection of designers and was recently featured in the Northern New Jersey Scout Guide. Nancy and Brie Tammaro have seriously good taste, so if you’re in the area we suggest you stop in. 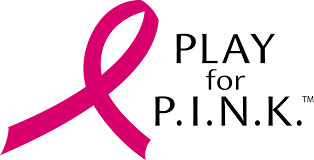 Liz Nehdi + Play for P.I.N.K. We’re thrilled to be partnering with BARREtoned for their Beach Body Challenge. BARREtoned classes will get you beach body ready + Liz Nehdi will outfit you beautifully for your holidays in our range of luxurious silk kimonos + summer scarves. Liz will also have a pop up shop at BARREtoned from 9:30 am - 1:30 pm next Saturday 11 June. Take a class and then shop our collection of colourful kimonos and summer scarves, with an exclusive discount on day-of purchases. Grounded drinks will also be there to pamper you with samples of their delicious low sugar health drinks. We look forward to seeing you there! Ibiza. Capri. St. Tropez. Where are you headed for the upcoming holidays? 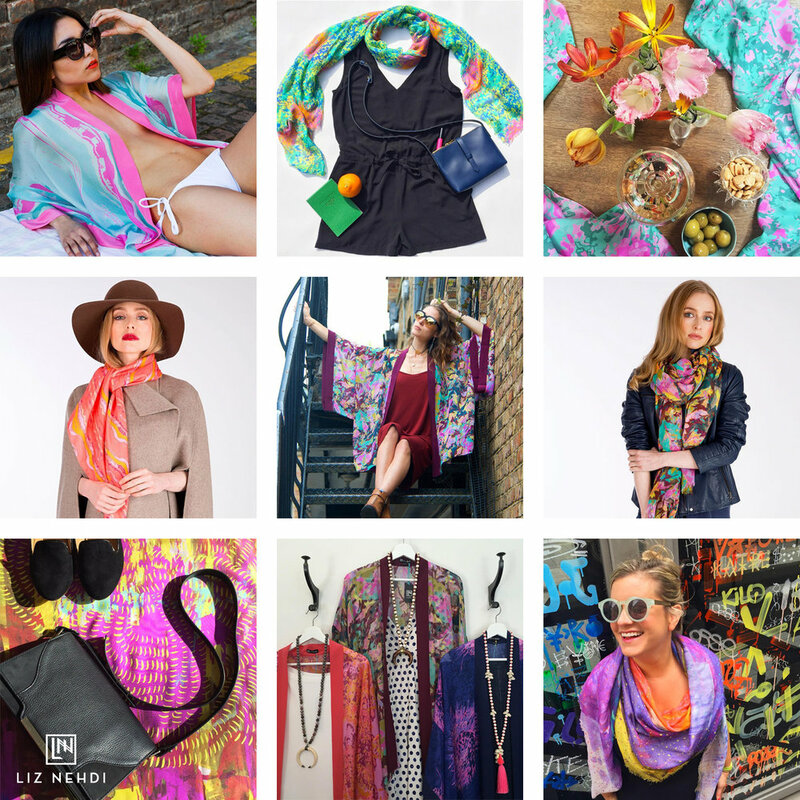 No matter the destination, Liz Nehdi Studio has perfectly chic kimonos and scarves to take you from the beach to evening cocktails. Join Liz Nehdi Studio on Saturday 7 May for styling tips, tropical cocktails, 1-day only pricing and a surprise for those who come by. Be sure to bring your favourite travel companion. Liz talks about her creative journey @ the Digital Fashion pop up. If you’d like to learn more about the inspirations behind the brand + our soon-to-launch SS16 collection, come along! A selection of LNS scarves will soon be available through the Made in Arts London website and will also be featured in their Capsule exhibition, which runs from 8-12 April. For more details, please visit the Made in Arts London site. Location: Embassy Tea Gallery, 195 – 205 Union Street, London SE1 0LN.